Here is a special gift that comes with a great deal of love to make for Mom! Cut a portion of the butcher paper large enough to wrap the box completely. On one side of the paper, color or paint a variety of things that you might like to give your mother for Mother’s Day if money were no object. For example, you might give her precious jewelry, expensive perfume, large bouquets of flowers, and so on. 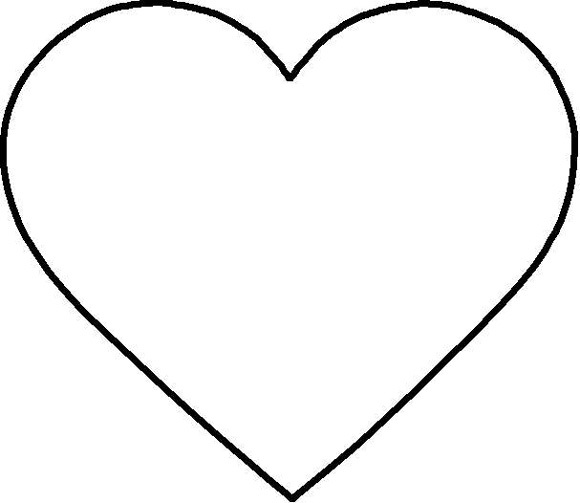 Trace the following heart pattern on the red paper at least a dozen times. Cut out the red hearts. On each heart, write something that you are willing to do for your mother out of love, such as sweep the kitchen floor, feed your pet, water the plants, or give her a big hug. Place each of the hearts in the box and close it. Wrap the box with your handmade wrapping paper. Color and sign the gift card on the next page and tape it to your package. Give the card and gift to your mother on Mother’s Day.